Reducing healthcare costs has always been one of the biggest issues facing our government and healthcare system. With an increasing aging population that relies on Medicare for their healthcare needs, it’s crucial for doctors and hospitals to look for ways to coordinate low-cost patient care. Accountable care organizations (ACOs) are the government’s solution to this growing problem, which incentivizes healthcare providers to keep their patients healthy. According to Kaiser Health News, there are about six million Medicare beneficiaries in an ACO, and combined with private insurers, there are at least 744 organizations that have become ACOs since 2011. What’s more is that an estimated 23.5 million Americans are now being served by an ACO. If you’re considering forming or joining an ACO, here’s what you need to know before you commit to this type of network. The Centers for Medicare and Medicaid Services (CMS), defines an ACO as a group of “doctors, hospitals, and other health care providers, who come together voluntarily to give coordinated high quality care to their Medicare patients.” The goal of ACOs is to ensure that patients, especially seniors and those who have chronic diseases, receive the right care at the right time. In addition, ACOs seek to avoid unnecessary spending or duplication of services as well as prevent medical errors. While these are the main guiding principles of accountable care organizations, not all ACOs are created equally. Some are owned by hospitals and healthcare systems, while others are owned by a group of physicians. Primary care doctors are restricted to joining only one ACO. However, specialists may join as many ACOs as they choose. In addition, an ACO can only participate in one governmental shared-savings program at a time. It is crucial that you read the fine print in an ACO agreement as well as any restrictive clauses that may limit your ability to practice. Here is a comprehensive PDF of the rules and regulations accountable care organizations must abide by. To be successful in your ACO venture, you will need to invest a significant amount of time and money. The majority of successful accountable care organizations have the elements of a vertically integrated health system, such as: a primary care hospital for most inpatient services, home healthcare services and mental health and rehabilitative services. While all of these elements are necessary for successful ACO management, they can be organized in a variety of ways, including single entity ownership or a partnership between multiple entities. ACOs can benefit your practice by creating financial incentives for you and your staff to be more efficient when delivering care to your patients, by offering bonuses when you keep healthcare costs down. Healthcare providers and hospitals need to meet specific quality benchmarks in order to qualify for these incentives, focusing on preventive services and carefully managing and monitoring patients with chronic illnesses. In layman’s terms, you’ll get paid more for keeping your patients healthy and out of the emergency room. In 2014, 97 ACOs qualified for shared savings payments of more than $422 million by meeting quality standards and their savings threshold. As was stated previously, the purpose of ACOs is to reduce healthcare costs to Medicare beneficiaries while providing coordinated, quality, care. In these provider networks, the focus gets shifted to care that’s actually needed instead of care that isn’t, and focuses on how healthcare organizations can help communities manage their health issues. For instance, patients with diabetes can receive better care management on a more consistent basis to help lower their risk of going to the hospital. With the help of telemedicine and EHR use, there will be a reduction in administrative processes that usually contribute to redundancies and unnecessary care. These systems also help improve access to healthcare information for both the patient and the doctor, reducing the need for in-patient visits and lowering call volumes. 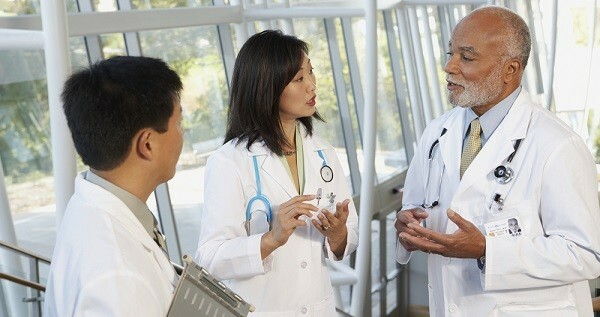 Accountable care organizations were created in conjunction with the Affordable Care Act. These Shared Savings Programs aim to improve beneficiary outcomes and increase the value of doctor visits by providing better care for patients, better health for communities and lowering costs for individuals and healthcare systems.